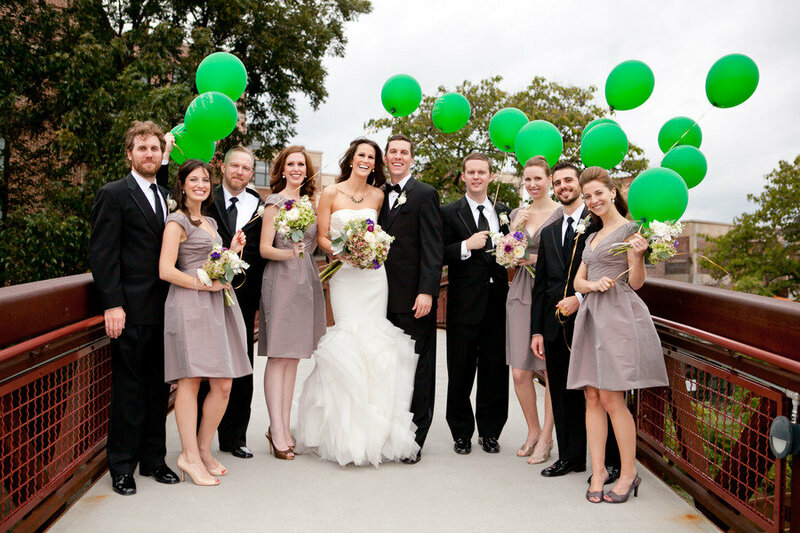 Classic, elegant and stunning really don’t even do this wedding justice. 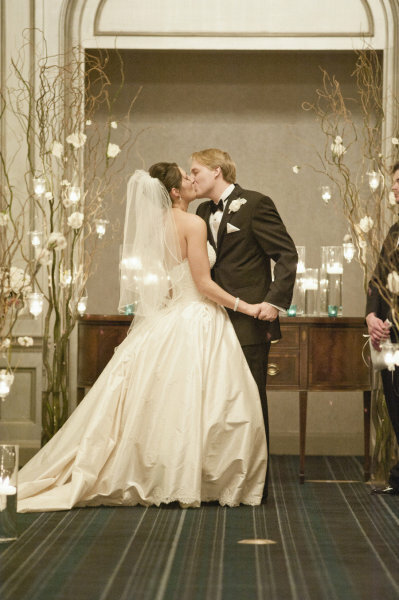 At the Ritz ballroom in Atlanta, this bride and groom sparkled. 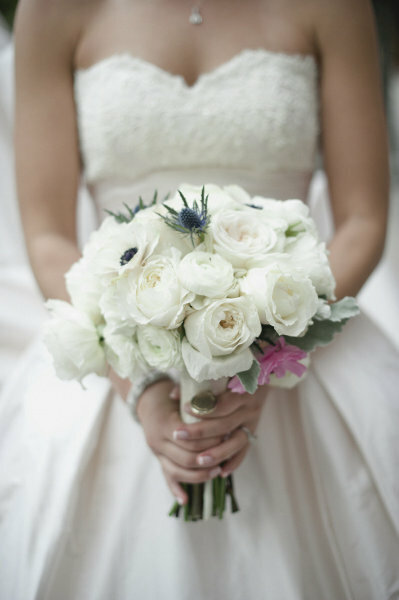 Her bridal bouquet with thistle accents brought out the blue accents incorporated throughout. If you looked up “timeless wedding” in the (imaginary) International Dictionary of Wedding Terms, this wedding by Harwell Photography would most certainly appear. My heart just does leaps when I see such a timeless fête! Perfectly classic with the most elegant touches, it’s impossible to not fall in love with each and every fairy tale-like image. With the likes of Le Bonne Fleur, Table 6 Productions and Bella Figura all giving their talents to make this day a dream come true, it’s no surprise the gallery is FULL of timeless perfection! From the bride… I wanted my wedding to be the fairy tale from my dreams when I was a little girl. I wanted the colors of my wedding to remind people of the holidays — rich jewel tones that create warmth. I tried to find a location that had these colors in the decor already. My colors were dark teal, champagne and silver and were inspired by the deep teal velvet fabrics the Ritz Carlton, Atlanta has. My dress was blush and I wanted to mirror that in as many places without it making it a standout color. The table clothes are a soft pale blush color and it really brought warmth to the cool bright colors of teal in the chargers. 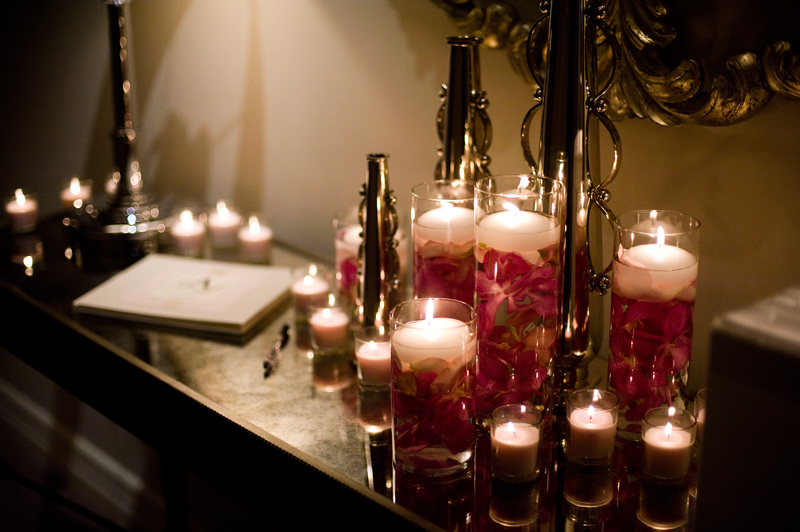 Candlelight was everywhere to make a soft glow. There were some very special touches that made the day for me. My mother passed away three years before my wedding, and I wanted her in every moment. I had her locket with her wedding photos on my bouquet, I had a memory table with not only her but my other passed-away relatives, and we played her favorite music during the ceremony and reception. Ave Maria was the most important detail of the day and was to play during the ceremony. Our ceremony music messed up and kept playing while we were waiting at the altar, but Ave Maria still played loud and clear. It was my centering moment while I was looking at my soon-to-be husband. It was like she was telling me she was right there with me. My invitation stationary was from Bella Figura and I thought it set the tone for the day. It was simple, unique, and classy. We DIY’d the rest of our paper goods (table numbers, menu, program) by replicating the design, buying card stock, and printing at home. As we did them, I really tried to pay attention to the fonts we used and I think it made them stand out. They looked great! Another favorite detail were my favors — because both the ceremony and reception were at the Ritz, I thought it would be nice to give a breakfast box for the guests as they left late at night. There were seasonal flavors of donuts and scones, along with jam and cream cheese. Highland Bakery supplied both the cake and the breakfast box favor. Le Bonne Fleur is proud to announce our feature in Style Me Pretty with this gorgeous (inside and out) couple’s intimate Atlanta wedding at JCT Kitchen & Bar. Take a look and fall in L-O-V-E! 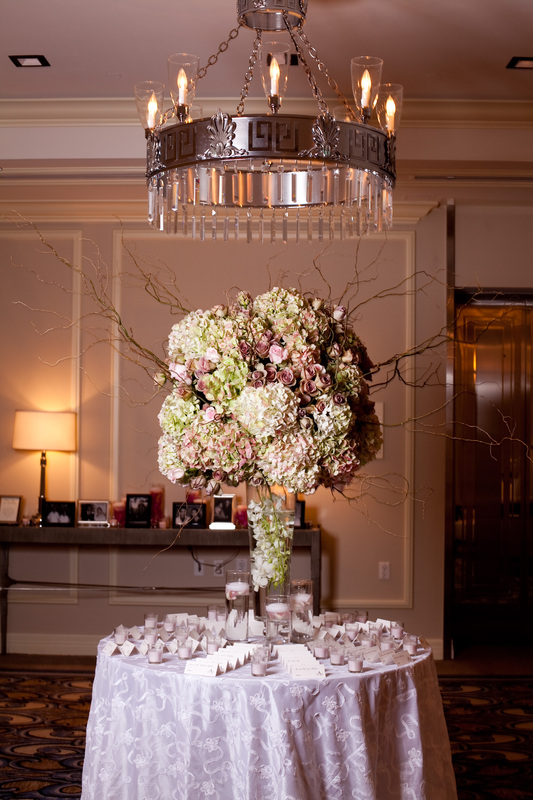 When tradition and elegance meet a touch of whimsy that’s when real magic happens. This Atlanta wedding by Kate-Belle Photography is an urban chic dream with a pretty-as-can-be bride and buckets of organically stylish details. It has everything we love about weddings from this great Southern city – sophistication and grace, loads of charm and a lovely natural feel. There are so many details to gawk over so head to to the full gallery to see them all! From the bride… Curtis and I both moved to Los Angeles after college to work in the entertainment industry. At the time, Curtis was working for the actor Hugh Jackman and I was working for the restaurateur/entrepreneur Sam Nazarian of SBE Entertainment. A mutual friend of ours suggested that we meet, which is typical for executive assistants in the industry. Thinking nothing of it, we got together for drinks after work one day at the Thompson Hotel in Beverly Hills. Three hours, a bottle of wine, and a bizarre number of similarities later, we knew we were meant to be. After a job change and a six-month long distance relationship, Curtis whisked me away to Atlanta by proposing with my family in tow over a Thanksgiving holiday in the North Georgia mountains. Both of our families are scattered across the nation, so we decided to have everyone come to us for the big day. Atlanta has the world’s busiest airport so we figured it wouldn’t be too difficult for our love ones traveling from afar to attend. We wanted the wedding to evoke a rustic sophistication and to focus heavily on the divine cuisine that JCT Kitchen offers. The evening was elegant, organic, and whimsical – just what we had hoped for. Two non-traditional elements to the wedding that I conjured up were our smoked salt favors, which were made for us by one of our favorite Atlanta chefs, Chris Hall of Local Three (where our rehearsal dinner was held), and our cheesecake cake. Two elements that Curtis contributed were a surprise gift of one dozen six-foot-tall “long” stem roses flown in from Brazil and our send-off in a red helicopter. And thus, my fairytale ending came true! As Seen on Style Me Pretty Little Black Book…. Happy Weekend, LBBers! I hope you’re fully enjoying your weekend – but I need your attention for a few minutes. We have a seriously cute couple to share with you today. And a seriously grand wedding. Gorgeous, classic, and chic – just like the blushing bride. A cinematic trailer from the oh so talented team at Three Ring Media to start your day off right – but before we get there, Altmix Photography is on a mission to prove to you just how cute this couple is. Click here for more! Nick and I, unbeknownst to each other, both made similar career changes at the same time. I decided to pursue a Master’s degree and stop teaching high school, while Nick decided to go back to school for electrical engineering after working as a mechanical engineer. In the meantime (which turned out to be a recession), we both found jobs as bartenders. I hired Nick as a bartender in the fine dining restaurant I managed in 2007. We immediately began working together nightly in a small space, only to find we didn’t get along too well at first. Nick was used to being the bar manager himself and taking orders from no one. My cute teasing and boisterous personality made him a bit uncomfortable. He couldn’t tell if I liked him or not. I was not quite sure what to make of Nick, either. His southern accent and snotty personality made me think he was conceited. I couldn’t tell if he liked me or not. It was very much like the meeting of Mr. Darcy and Elizabeth Bennett from Pride and Prejudice. Finally, one night after going out for a drink after work, I mentioned my interest in astronomy. Nick was currently reading a book titled The Elegant Universe and mentioned the subject of the book: M Theory. I had been looking for someone to talk with about M Theory for years and couldn’t help from engaging in a twenty-minute conversation as we sat in my car outside the restaurant’s parking lot. After that, we figured things out; we had both been uncomfortable not knowing what the other thought about us because each of us desperately wanted the other person to like them. I hired Nick as my boyfriend not long after. Even though the restaurant went out of business, we know how lucky we have been to be an unemployed literature teacher and an unemployed engineer who met at a restaurant that no longer exists. And the story is still a bit like Pride and Prejudice although now we have come to the marriage! Our main goal for our wedding was always to create a family-centered, vintage-inspired, and eclectic wedding, which would still be filled with tradition and southern charm. We drew inspiration from ourselves as a couple. We bond over literature and philosophy, shared our first kiss in a gazebo—where Nick proposed to me two years later—and we value our family. As only children, we shared the importance of having friends and family travel to our wedding only to feel important and peaceful. So, we decided to incorporate a writing theme where books took the place of table numbers, a vintage typewriter stood in for the guestbook, and the beautiful Wimbish House in midtown Atlanta became our own Victorian garden party location. Of course the bridal table was titled Pride and Prejudice. My mother & I made the Wimbish House feel like our home, which is one of the charming appeals, to me, of having your wedding in a historic home. We selected pictures, not just of Nick & I, but also of our family and our parents, grandparents, & great-grandparents on their wedding days to remind us of the heritage and tradition to which we belong. I also carried Nick’s grandmother’s rosary with my bouquet; however, the most personal touch was the groom’s cake. Nick’s grandfather, Papa Dude, passed away the winter before our wedding, and I wanted to find a surprising way to include his memory. Our baker, Sweet Sensations, made a groom’s cake featuring Papa Dude’s boat and we placed traditional cake toppers (from Etsy) in the boat instead of on the bride’s cake. Our fabulous planner, Nicole Fantz, in addition to placing all our handmade objects and pictures, made sure Nick & his father had private time to view the cake before the ceremony. I always knew I wanted banquet tables at my reception and our food to be served family style. 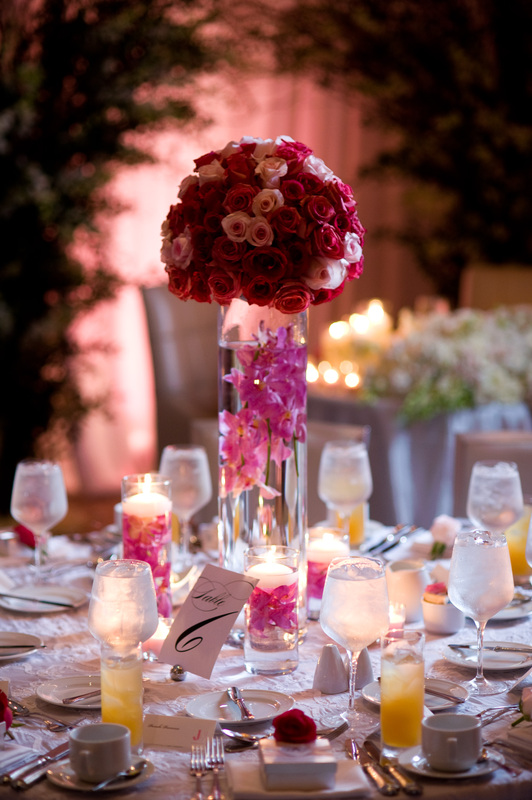 After going to many wedding with rounds, I felt, and still feel, that banquet table allow more conversation and remove any hard feeling which may surface regarding table seating. Also, family style service promotes conversation, adds a rustic (perhaps southern) touch, and saves money! Our caterer, Endive, was only too happy to accommodate this preference, which allowed us to serve two proteins instead of one! Our love of wine, my love of sparkling water, and my, now maiden, name (Mason) prompted us to create deconstructed arrangements scattered around the tables housed in wine bottles, San Pellegrino and Perrier bottles, and mason jars. 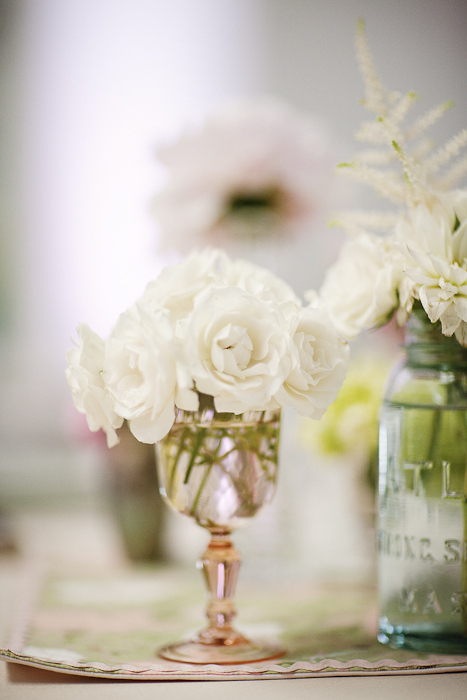 We collected all the glasses and bottles ourselves and our florist, Melanie Pink, filled them with beautiful, delicate, and rustic florals to add to our theme. The florals helped frame the vignettes of our tables, pictures, and this lovely home. The most popular place at our wedding was the patio, where we placed a cigar bar and piped out Sinatra tunes. Even during August heat, the guests crowded the patio and we saw the mingling of our two families. Our elderly male guests can’t stop talking about all the girls smoking cigars! Nick’s father supplied some very nice cigars for the occasion, and after-dinner drinks, like sherry and liqeuers, accompanied the cigar bar. As bartenders, we felt we needed to invest in a full bar, and since the Wimbish House let’s you bring in your own liquors, we saved hundreds! My favorite parts of our wedding were the hand-binding during our ceremony, a private stroll for pictures with our photographers Matt & Kate Altmix, a private delivery of appetizers from our planner, laughing with my husband, listening to my father’s speech, dancing with my mother, and leaving our reception in a horse-drawn carriage, which became a special private trip for us to rejoice in our day together amongst the streets of our city, which always seem more quiet and beautiful out of a car, even with congratulatory shouts! Our day went by so fast and our memories were quite scattered, so we were so pleased to receive our wedding video from our videographers, Three Ring Media. Now, we will never forget our memories and how much we would have enjoyed being guests at out own wedding! 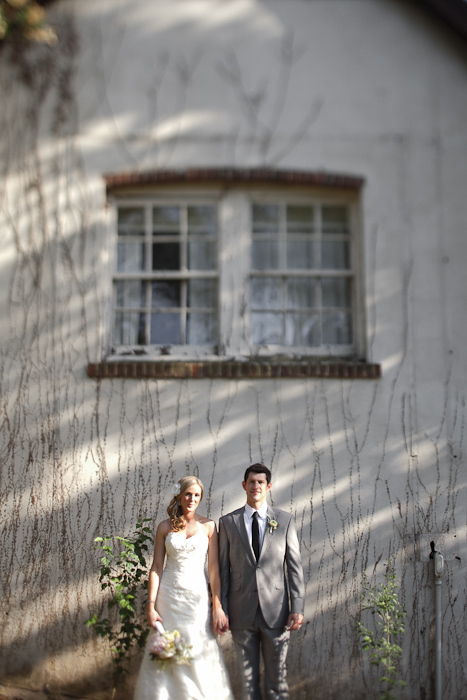 Nicole & Chris wed on a gorgeous afternoon at the Callanwolde Fine Art Center in Atlanta. The home made and personal touches were apparent everywhere, from the vintage bottles collected to the heirloom broach incorporated into her bouquet. 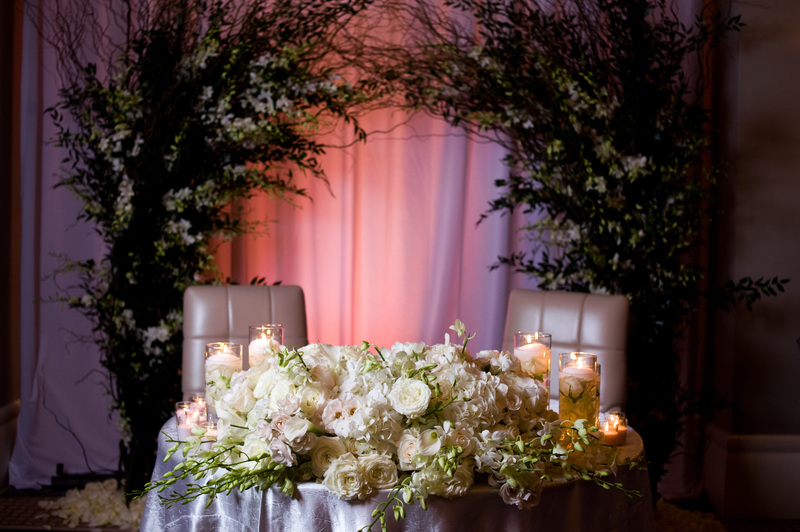 This fabulous event was made possible by some of the fabulous vendors like Endive Catering, Andrew Thomas Lee Photography and Le Bonne Fleur and many more, but all the love in the air made it special! 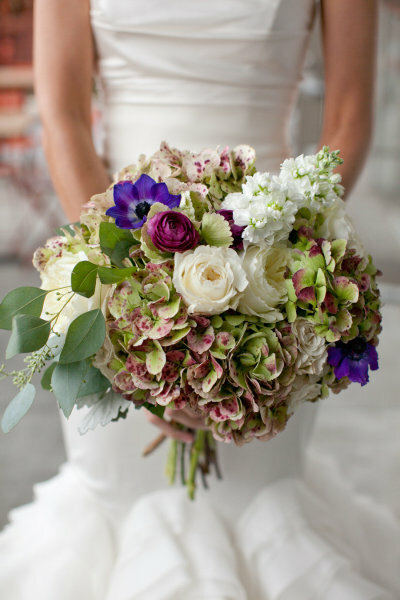 Le Bonne Fleur loves to share our gorgeous brides, and this one is no exception. 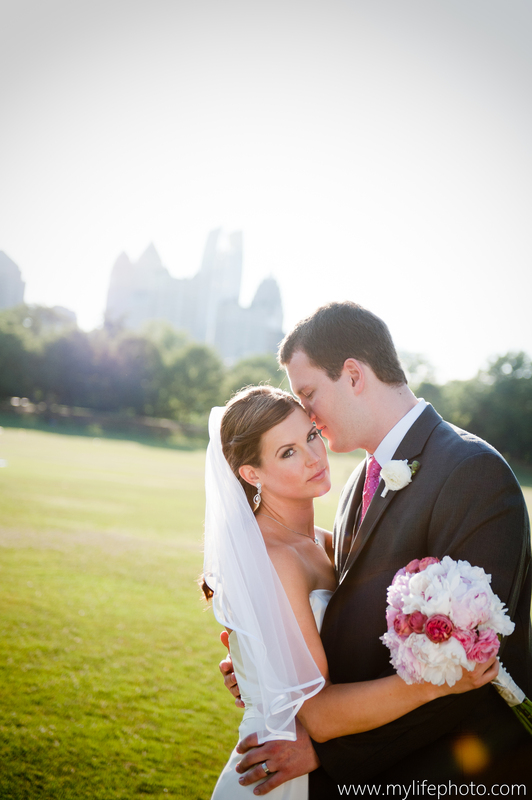 Meagan glowed at her elegant affair at The Piedmont Garden Tent at Park Tavern on Piedmont Park. The bride’s bouquet, bridesmaids bouquets and table centerpieces were lush with amazing pink peonies, garden roses, spray roses, hydrangea and ranunculus. 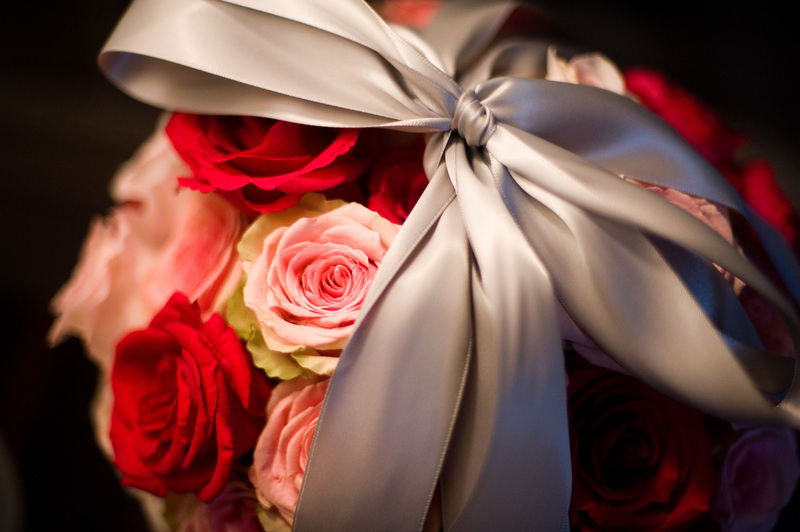 The men adorned boutonnières of simple and classic ranunculus. My Life Photography was there that day to capture all those special moments. Atlanta Floral Designer Down Under in Vogue Australia!!! We are thrilled, excited and a little gitty to be featured on Vogue Australia. 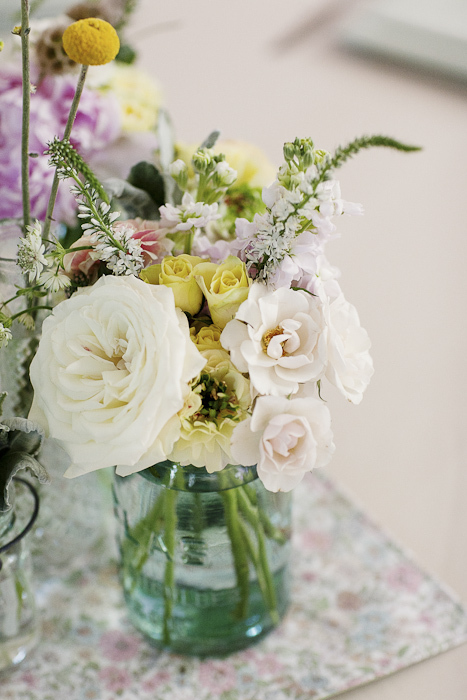 The designer for Atlanta wedding floral design company, Le Bonne Fleur, Melanie Pink’s wedding has been featured in the bridal section as the “Greastest Hits: Bridal blogs….” article on their website. This beautiful photograph taken by David Murray Weddings at the stunning and laid back venue Rockhouse Hotel, has also been featured in Style me Pretty.